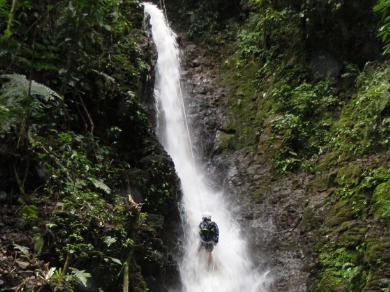 The tour starts with a walk lasting approximately three minutes through a short path through the rainforest. During the walk you can enjoy the different species of plants and animals that provides the forest. 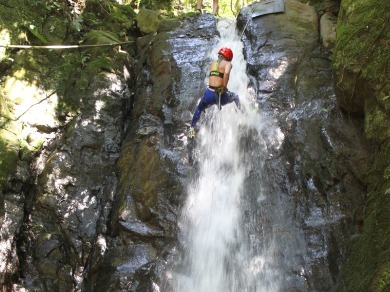 Before reaching the first waterfall, the guides will provide safety equipment and instructions needed to perform properly the tour to descend the falls rappel. 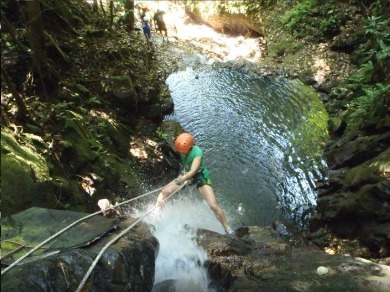 Once you feel comfortable with all safety procedures, you can start your adventure Canyoning (rappelling cataract). The first waterfall is located in the beautiful canyon of the headwaters of river reeds, each earring has a fixed security cable. 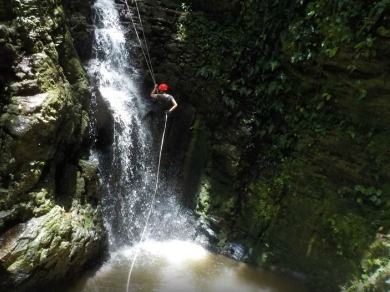 The six cataracts are different and the highest is 40 meters (132 feet), once completed, your guides will take you back through the woods to the reception. 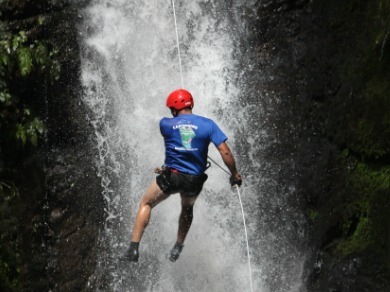 This tour can be enjoyed by anyone in moderate physical condition. All guides are trained in the area of First Aid and CPR, and there are daily security checks on all computers. There are three tours each day. 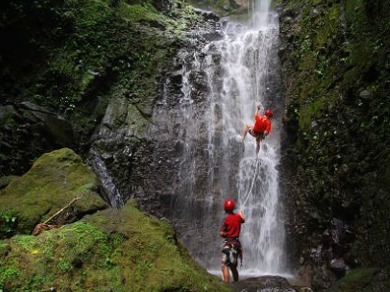 TOUR INCLUDES: Transportation to hotels in Monteverde, a soft drink (water, beer, soda), bilingual guide and equipment canyoning. DURA TOUR: 2-3 hours approximately, depend on the number of people in the group during the tour. WHAT TO BRING: Comfortable clothes, tennis, towel and a change of clothes. Requiements: Tennis / NO SANDALS (are rented tennis). only children over 15 and people over 50 years with proper physical condition are accepted.